Until recently, January was synonymous in the world of cycle sport with the Tour Down Under, and little else. The Australian stage race is the only WorldTour race of the month, with most other events populated by riders still burning off the Christmas calories and failing to attract the attention of fans and the media. 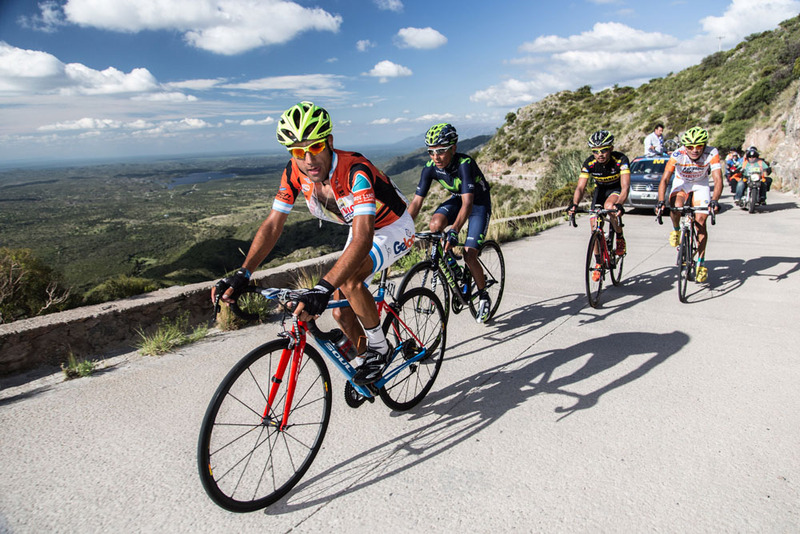 But the Tour de San Luis (January 18-24) has emerged as another non-European early-season race worthy of headlines. Last year, Colombian revelation Fernando Gaviria caught the eye by getting the better of Mark Cavendish in bunch sprints, while Colombian star Nairo Quintana was involved in a GC race ultimately won by 2013 champion Daniel Diaz. This year’s tenth edition of the Argentine stage race takes place the day after the People’s Choice Classic (a sort-of prelude to the Tour Down Under), and shouldn’t be dismissed as the default secondary season opener. Its status as a 2.1 may suggest inferiority, but some of the peloton’s biggest names are flocking to San Luis in favour of its more-established Australian rival. The race will provide the first chance this season to see Peter Sagan (Tinkoff) as he begins his season adorned in the rainbow stripes as world champion. Nairo Quintana (Movistar) also rides, in a rare opportunity to race in his home continent. And Vincenzo Nibali (Astana) hopes for a strong ride following a 2015 in which he failed to get going after a slow start until very late into the season. They won’t be joined by rival Chris Froome, or any Sky rider for that matter as the team misses the race altogether. But the competition still runs deep, with the likes of Vuelta podium finisher Rafal Majka (Tinkoff) and Cannondale’s Andrew Talansky all capable of challenging provided they didn’t indulge too much over the festive period. Looking at the Tour de San Luis route, it’s easy to see why so many top stage racers have opted to ride. Unlike the Tour Down Under and many other early season races, there’s a variety of types of stages during the seven day race that amount to a balanced route that offers something for climbers as well as sprinters. Before reaching more challenging parcours, the race kicks off with a 21km team time-trial in the village of El Duranzo – the first time a TTT has ever featured in the event. Both stages two and three are flat enough for the likes of Elia Viviani (riding for the Italian national team) and Gaviria to have a chance of controlling any attacks and winning from bunch sprints. Stage four will be the first major GC day, with a finish atop the Alto del Amago climb that has played a key role in the last couple of editions. Smaller time gaps are possible the day after thanks to a short uphill finish, although the lack of any climbing prior to the finale should ensure most GC candidates still have fresh legs. The final showdown will take place on Saturday’s stage six, which culminates in an ascent of the fearsome Filo Sierras Comechingones. Like last year, the peloton will ride a further 7.5km uphill after reaching the first Mirador del Sol peak, which will likely see riders sprawled all across the road. A circuit stage in San Luis the day after will round-off the race, by which time we’ll know who the overall winner is.